Nadine Lavinal is a Senior Counsel at Amsterdam & Partners LLP in Washington DC. She has a 10+ years’ legal practice that encompasses a broad range of complex international and domestic, regulatory, commercial, and corporate matters, specifically in project financing, manufacturing, sale and purchase of heavy equipment, OFAC sanctions, mergers and acquisitions, international RFPs, and so forth. Nadine Lavinal has lead, drafted, and negotiated numerous cross border and complex contracts for projects worldwide on behalf of multinational companies. She has graduated with an LL.M. from Washington College of Law American University in the United States, a Master’s degree in International Business Law from Paris I-Panthéon Sorbonne in France, and a Master in Business Law from La Sagesse University in Lebanon. She earned as well a Master in Business Administration (MBA) from the ESCP-EAP (Ecole Supérieure de Commerce de Paris). 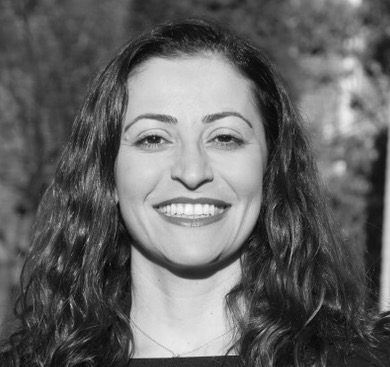 In addition to international transactions, Nadine Lavinal has diversified her portfolio to include international arbitration by managing cases before the International Chamber of Commerce (ICC), solving disputes in Tunisia, Ethiopia, Kazakhstan, and Algeria. Moreover, she specializes in white collar criminal law cases in the United States, the European Union, and Africa. Nadine Lavinal has practiced law as an in-house lawyer in France. She is qualified to practice law in New York. She has successfully passed the Bar of Beirut (Inactive). She speaks four languages: Arabic (fluent), French (fluent), English (fluent), and Spanish (intermediate). Lastly, Nadine served as an adjunct professor at the ENS (Ecole Normale Supérieure), Paris-I Pantheon Sorbonne, HEC (Haute Ecole de Commerce), IAE (Institut d’Administration des Entreprises) – University Jean Moulin Lyon 3, and Washington College of Law American University, where she taught, at a Masters’ level, Management of International Contractual Risks and International Arbitration topics.